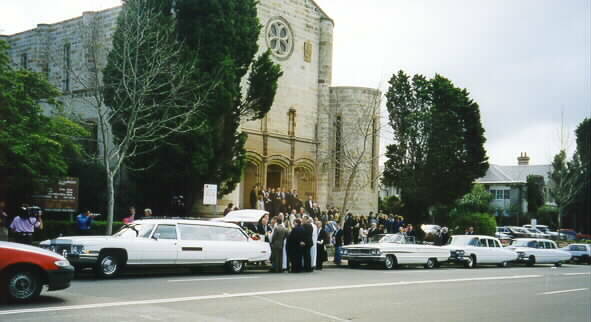 Ward "Pally" Austin was a well known disc jockey on Sydney radio. Like every other kid growing up in Sydney in the sixties I used to listen to him playing rock 'n roll every day and saying his famous catch phrases like "a rickapoody and a fandoogly." Originally from the USA, he was a colourful character and a ladies man, who was often seen driving around in his Ford Galaxy convertible. 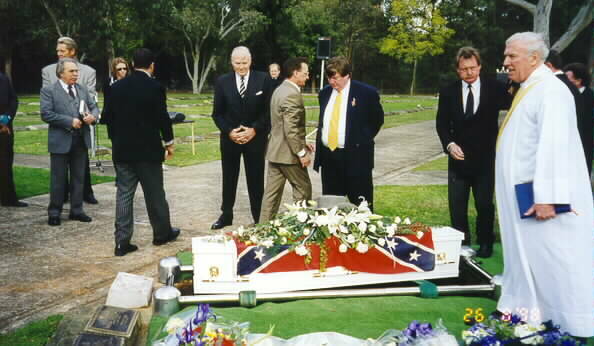 So it was not surprising that his last ride was in one of the very few Cadillac hearses in Australia, with two 1959 Cadillac limousines following. 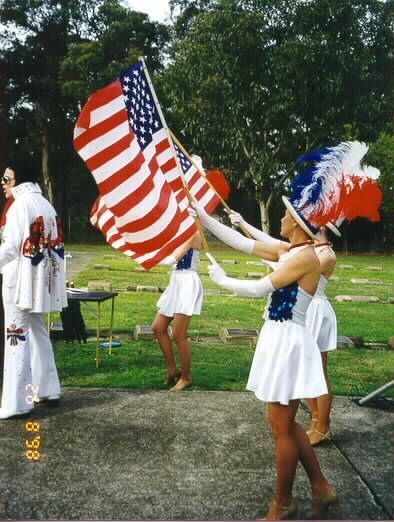 Likewise the unique, flamboyant burial service with drum majorettes and an Elvis impersonator was a rare sight in this country.